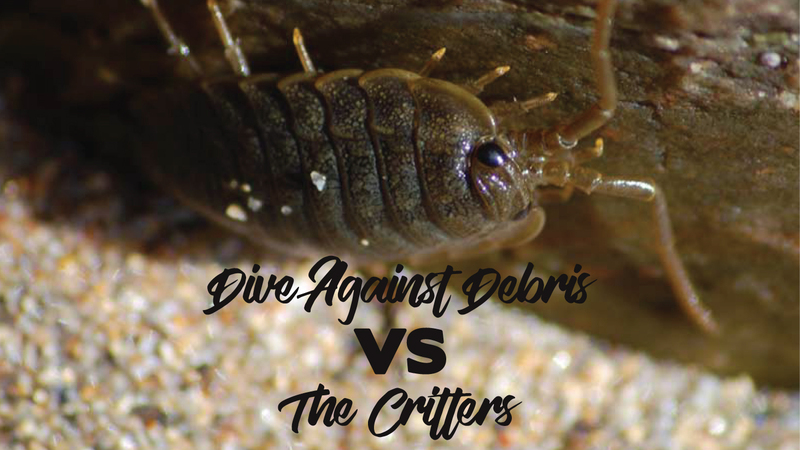 When Stubborn Marine Life Foils Your Dive Against Debris! As part of our PADI Women's Dive Day, we organised a shore dive at Knacker Hole in Beadnell. It's one of our regular dive spots, and as our Adopted Dive Site, it seemed rude not to conduct a survey while we were fun diving! Even though we're constantly removing trash from this area, the battle never ends. We found the usual culprits of plastic bags, drinks cans and fishing gear. However, there was a new problem on this dive - too many critters! There's a dead seaweed zone parallel to the point at Knacker Hole. 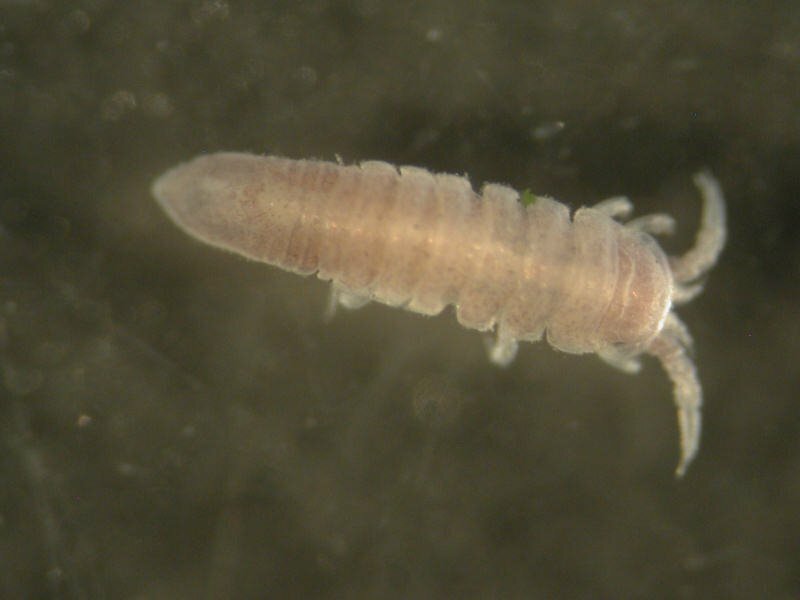 The action of the currents seems to deposit fronds of broken seaweed which lies on the bottom decomposing with the help of little isopod type bugs. There's also lots of plastic bag "fronds" mixed in with the seaweed. These strips obviously have similar properties to the seaweed and the currents spit them out in the same place! A novel problem arises when you try to pick up plastic in this area. The strips are completely crawling with critters! We've picked up a lot of litter in our time, and we'll find the odd individual who's made a home from our rubbish (like that Blue Ring Octopus we once found in a Coke can in Malaysia!). 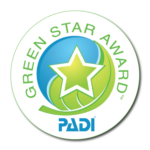 In those situations, you have to use your best judgement and draw on your Dive Against Debris training to decide whether to remove the litter (and encourage the marine life to find a more suitable home) or leave it undisturbed. But what do you do when the piece of litter is completely covered?! 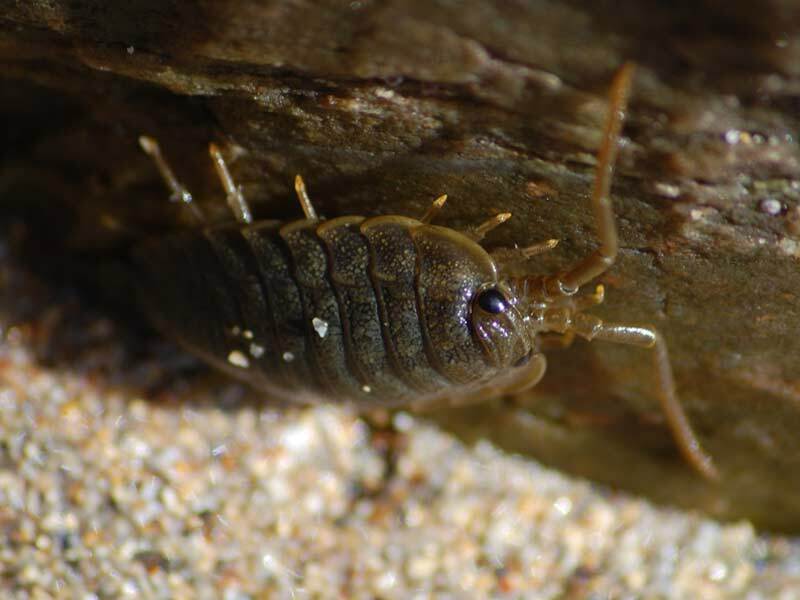 Belonging to the family of Isopoda (commonly known as Sea Slaters and Gribbles, which totally makes them sound like something out of the Harry Potter universe) and Amphipoda, the bugs are just doing their job - they're trying to break down the material. It's not their fault they can't tell the difference between seaweed and plastic. We made the decision to pick up as much of the plastic as we could and check out the number of critters hiding. If there were loads, we left the plastic for the next time. 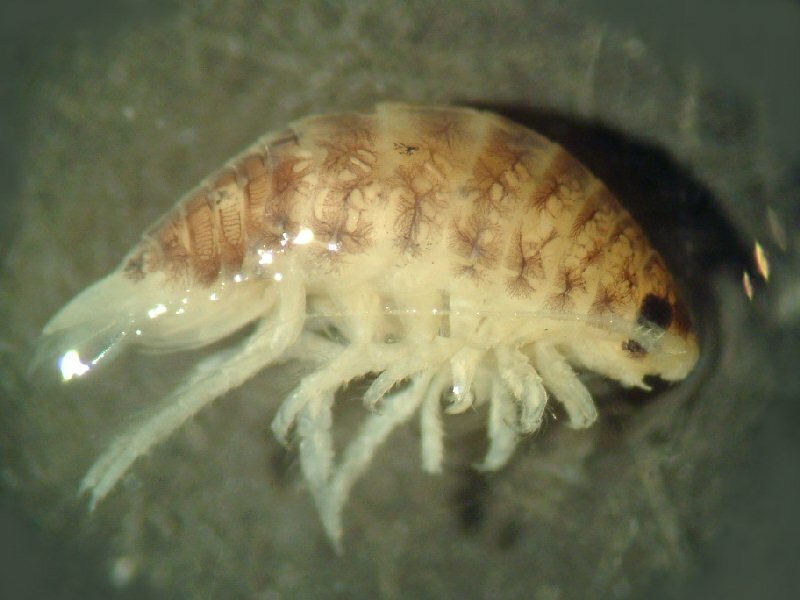 If there were just a few, we'd shake the isopods off, letting them gently float back down to the floor. However, some of them were a little more reluctant... Our gloves and dry suit sleeves now had stubborn critters holding on and refusing to let go! As we searched the area, our hitchhikers soon realised they were on the move and made the decision to let go. Once of our trickier Dive Against Debris surveys, but still very successful! If you're interested in joining one of our clean up dives, check out our upcoming events. You can also take your Project AWARE Dive Against Debris Specialty Course, taught by our very own debris hero Nic! Posted in Dive (b)Log, Environment, Project AWARE and tagged Blyth, Cambois, Dive Against Debris, Dive centres, Dive Centres England, Dive Centres Newcastle, Dive Centres NorthEast, Dive Centres Northumberland, Dive Centres UK, Diving, Diving in Northumberland, Diving in the North East, diving training, Eco Training, environmental action, Fifth Point Dive Centre, Fifth Point Diving Centre, Litter, Marine Debris, marine environments, North East coast, Northumberland, Our Sea Trash Free, plastic bottles, Plastic Free Seas, plastic waste, plastics, Project AWARE, Scuba Diving, the enviroment, the environment, the Northumberland coast, Trash Free Seas, volunteering.